With predicted thunderstorms, saturated ground, and the strong possibilities of clearer weather on Sunday, the Social Committee has decided to move the Luau to the rain date tomorrow, Sunday, June 24th. at 4 pm. Our apologies for any inconvenience and we hope you will still be able to participate. Stay dry, and we will see you on Sunday! It’s on! 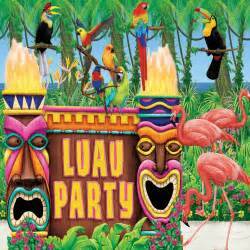 As summer approaches, our Social Committee is organizing the annual CSHOA Luau On The Beach. The date is Saturday June 23rd @ 4:00PM with a rain date of June 24th on our beach at the end of Arcade Ct.
All residents are invited and encouraged to participate! Please bring your own chair. We will have pulled pork and pulled chicken with rolls and coleslaw from Adam’s Rib. Tea, water, beer and wine will also be provided. We ask that attendees bring finger food or desserts if your last name begins with A-M or sides and salads (potato, pasta and others) if your last name begins with N-Z. There will be live music, door prizes, a guessing jar of shells and mostly FUN!